Brands are under immense pressure to stay relevant and connected. With social media now ruling the business landscape, businesses need to be active and engaging on various platforms. However, is it necessary to have a presence on every social media platform to stay connected? More often than not, the answer is no. Recently, the lip-syncing app TikTok has risen to popularity. In the app, users create and post 15-second videos using audio, filters, special effects, and stickers. It recently was the most downloaded free app in the United States and boasts more than 500 million monthly users worldwide. But should your business be one of them? With the average age of a TikTok user being 13- to 24-years-old, TikTok is a gold mine when it comes to getting your brand in front of Gen Zers. If your brand doesn’t need to target Gen Z, we’ll go ahead and put an end to your questions and say this platform isn’t for you. With such a young demographic utilizing the platform, we’d expect the content curated to be PG-13, but there are numerous explicit posts on TikTok. With no warnings or filters for explicit content, it’s impossible at the moment to keep your brand separated from inappropriate users and content — thus, posing a brand safety issue. Ensuring your content is age appropriate is key to success on the platform. Despite lagging behind Facebook, Instagram, Snapchat and YouTube in engagement rates, TikTok maintains a level of authenticity and creativity that its competitors lack. Videos on the platform are raw and spontaneous with the majority of content edited using in-app features only. The only competitor that compares to this authenticity is Snapchat, but, as the platform has gained popularity, even this has become more inauthentic. Another big difference here is that people can follow users and scroll through feeds, like Instagram. Unlike Snapchat, TikTok posts never disappear, so the level of creativity and effort going into the 15-second videos is on another level. It means that content can’t be over engineered. On other social media platforms, meticulously curated and edited content is almost necessary to make an impact, but TikTok forces brands to be more personal and casual with audiences. With fake content seeming to be genuinely real, such as comedian Jordan Peele’s use of artificial intelligence to make Barack Obama deliver a fake PSA, all consumers are wanting is more authentic content. If a brand is struggling to create genuine connections on other social media platforms, this can be extremely beneficial. One of the reasons why TikTok is so authentic is because the platform is inherently accessible. Since users don’t need to create an account to view videos and navigate the app, brands have the potential to reach more eyeballs without paying for placement. TikTok makes this easy, whereas other social media platforms make you sign up for an account or give you restricted access. Without an account, TikTok users have access to the “For You” page, search function, and the ability to make (but not save or post) videos. On the “For You” page, users can scroll through an infinite list of videos, where clever and relevant content get rewarded with a spot on the page. A single good video has the potential to reach millions of people. But, to actually engage with others on the app, an account is required. With an account, users gain the ability to like videos, follow other users, leave comments, and duet videos. All of these features are central to the platform and encourage engagement. The duet feature, intended initially for lip-syncing, has evolved into a popular way for users to interact with content. This feature undoubtedly comes with some risk, as you cannot control what another user does in their duet. However, the level of interactivity a duet gives users is unrivaled by other platforms. TikTok recently started testing ads on its platform and is still working out the kinks. Now, ads appear shortly after a user opens the app, but people can exit the ad immediately. 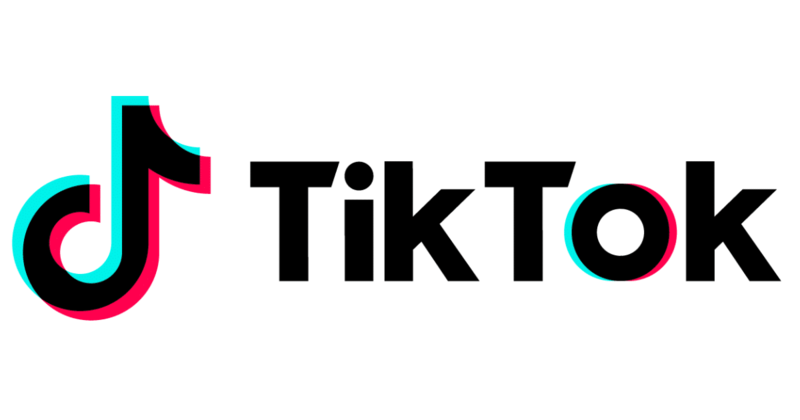 While it’s great news for brands that TikTok is now ad-friendly, we’re still waiting to see how targeting will work and how detailed analytics are. Currently, TikTok doesn’t have a way for businesses to add a layer of analytics to their profile as Instagram and Facebook do. However, it is possible for users to become verified. Verification appears in the form of a golden crown at the top of the user’s profile and is awarded at the mercy of TikTok’s team. With no guaranteed path to verification, this can be extremely difficult to acquire. Now that ads are coming to the platform, brands and influencers will engage with TikTok differently. Prior to ads, sponsored content was posted directly to the brand’s accounts, which continues to be the most lucrative and popular option. Hashtagging, almost to the point of excess, is encouraged and utilized. Challenges are prevalent on this platform, as brands use clever hashtags to raise awareness. Jimmy Fallon created the #tumbleweedchallenge, where he encouraged users to film themselves rolling around like a tumbleweed in an old western movie. This challenge gained 8,000 submissions and 10.4 million views in total. Although not every brand has the same influence and tone as Jimmy Fallon, brands can still utilize challenges and hashtags to garner attention in a way that’s native to the app. Influencer marketing has become an important tool for brands to reach audiences today, but it is getting more complex and risky with its authenticity battle. However, when done right, influencer marketing is powerful because followers genuinely trust influencers. It can also be cost-effective for startup brands looking for authenticity and scale at bargain basement prices. Influencers has aggregated loyal followings on every social media platform and TikTok is no exception. Many of the most popular influencers on the platform have tens of millions of followers with high engagement from fans. Most of these influencers carry their fame across multiple platforms, which can lead to more lucrative partnerships. If your brand is trying to reach younger audiences, TikTok is a perfect place to look for influencer marketing. In line with the app’s demographics, most TikTok influencers are teenagers or young adults. They tend to be energetic and fantastic at generating buzz, which also keeps up with the platform’s high energy videos. If your audience is older than the typical TikTok user, it may be more difficult to have an effective partnership and be better to turn to Facebook or Instagram. When deciding whether or not your brand should join TikTok, the main consideration should be your audience. If your audience is Generation Z, taking the time to strategize various content ideas should fall onto your agenda. However, if your audience is above 30-years-old, TikTok should be a pass for now. Keep an eye on the growing platform, along with user demographics, and always keep it in the back of your mind. TikTok has the potential of being a major platform like Instagram and Snapchat and shouldn’t be easily dismissed. The app is still in its infancy, but the number of users joining is impressive. It’s still too early to tell the future of the app, as it may continue to rise in popularity or it could plummet. Above all else, ensure your brand maintains a high standard of authenticity on the platform its on, and develop a relationship with your audience. Want to learn more about how to harness social to connect with you audience? Reach out to us!